Here’s the thing, this movie is targeted at a very specific audience. It’s overtly religious, not shying away from the spiritual aspect of the Christmas story, and it’s also really silly, with animals falling down stairs every few minutes for laughs. If you enjoy both of these things, will this movie work for you? 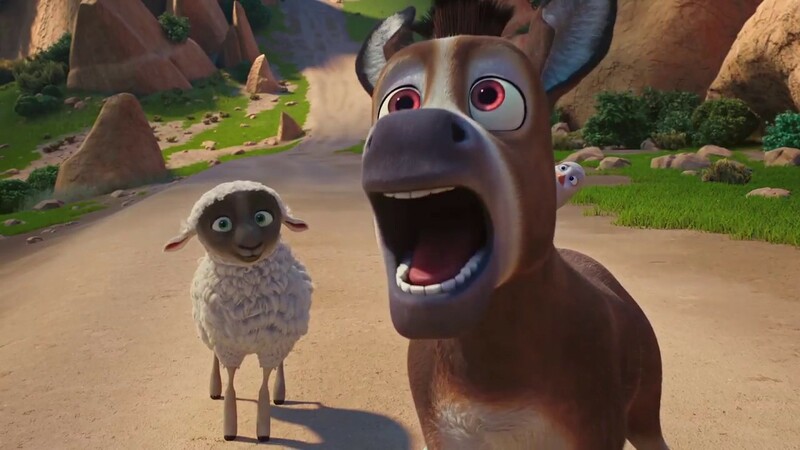 The Christmas story (the birth of Jesus) is retold from the perspective of talking animals, led by a donkey (Steven Yeun) who must help Mary (Gina Rodriguez) and Joseph (Zachary Levi) get to Bethlehem before the baby is born. The donkey is assisted by a dove (Keegan-Michael Key) and a sheep (Aidy Bryant from Saturday Night Live). There’s also a trio of camels who travel with the three wise men, voiced by Oprah Winfrey, Tyler Perry, and Tracy Morgan. Other voices include Ving Rhames, Gabriel Iglesias, Kelly Clarkson, Anthony Anderson, Patricia Heaton, Kris Kristopfferson, Kristen Chenoweth, Mariah Carey, and Christopher Plummer. Like I said in the intro, this movie is for a specific audience. If you want a movie that you can take your kids to, that outlines the trials and tribulations of Mary and Joseph, this is it. 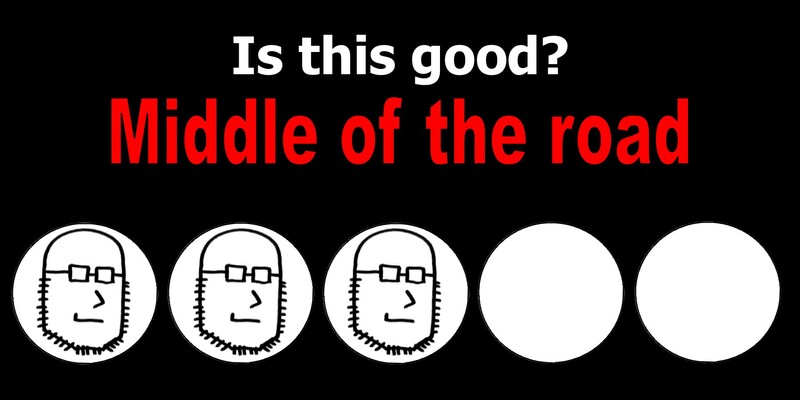 It’s a gateway to a discussion about the Biblical stories in a way that kids can understand. This movie benefits from an absolutely bonkers cast that I almost can’t believe. The performances are mostly great, with the standout being Aidy Bryant as a sheep named Ruth. It’s a testament to Aidy’s comedic talent when she outshines the rest of the talent here. Zachary Levi and Gina Rodriguez also give great performances as our human leads. The Star is also surprisingly funny, though it doesn’t always work. When it does work, though, it’s charming and quirky, usually from its excellent voice cast. Herein lies the problem. 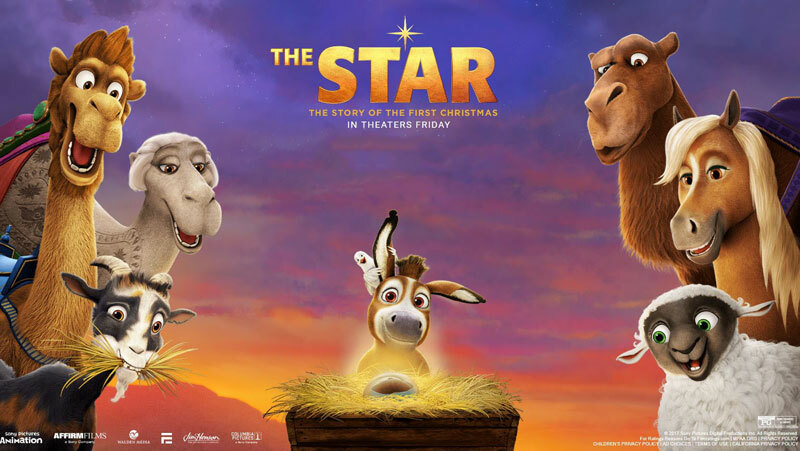 The Star is trying to be a funny animated movie, like a Madagascar or Shrek, though the movie is also trying to be a serious tale of the birth of Christ, so this blend is sometimes very tonally confusing. Our little donkey prays for God to help him, then tumbles down a mountainside. It’s sometimes hard to distinguish the comedy from the overly serious. The comedy also doesn’t always work. It’s trying to appeal mostly to kids, so the physical humor is incredibly abundant and for adults, it might become grating. And while I don’t dock points here for the movie’s premise, I would argue that it isn’t done necessarily well. For a kid’s movie, there is very little explanation given for anything. Words like “Messiah” are thrown in, but a kid would have no idea what that means. You might need to walk them through it. “Well, here’s why they’re running from the King…” It’s a movie for kids but somehow assuming they know the story already. I’m not sure if it succeeds at what it sets out to do. 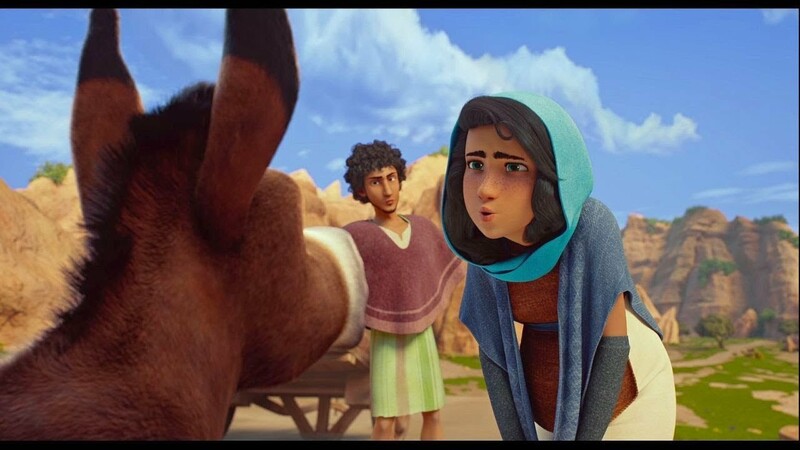 The Star is a fine outing, if you’re totally okay with a religious story and tons of animated goofs. The problem is the mixture of those two things, which is probably why we don’t get a lot of Biblical comedies in theaters. It’s an odd balance, resulting in a movie that is just fine. I laughed a few times, the performances were good, but this movie ultimately falls a little flat. Those of you with inquisitive kids might have a better time here than most. This entry was posted in Movies and tagged adam ryen daniels, aidy bryant, anthony anderson, christian, christianity, christmas, donkey, gabriel iglesias, gina rodriguez, i am your target demographic, iaytd, keegan-michael key, kelly clarkson, movie, movie review, movie reviews, movies, oprah winfrey, review, reviews, steven yeun, the star, tracy morgan, tyler perry, ving rhames, zachary levi. Bookmark the permalink.